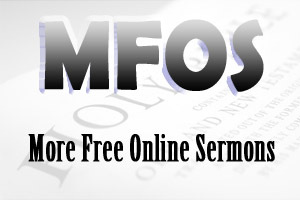 Bible Sermons From Revelation 21 provide a deductive sermon from Revelation 21:1 - 22:5. This sermon explains the wonders of eternal heaven. Bible Sermons From Revelation 21 present a deductive sermon from Revelation 21:1 - 22:5 in which John explains the wonders of eternal heaven. INTRODUCTION: You could sense the sorrow and the sadness. Their faces expressed the tragedy, the horror of a beautiful, young lady cut down in the prime of her life by cancer. The tears and the sobbing were a reminder of the solemnity of death and the shortness of life. She was dead at 47. As we gathered around her gravesite, we were reminded of these things and the fact that death was not the end of our existence. For the Bible says, “it is appointed unto men to die once, but after this the judgment” (Heb 9:27). In other words, this verse tells us that death is not the end of our existence. In fact, the Bible goes on to say that after this judgment we will all go to a place, some will go into everlasting punishment and others will go into eternal life (Matt 25:46). Every time I go to a funeral, every time I officiate at a funeral, I am reminded that life is short, that death is not the end and that we all go somewhere when we die. Even godless people have a sneaking suspicion that we all go somewhere when we die. Olivia Newton-John, a famous singer/songwriter, has a sneaking suspicion that we all go somewhere when we die. When her mother died, she sat alone with her mother’s body waiting for a signal from her mother to say that she was ok, that she was in nice place. Only God knows the glorious truth about heaven. And the only place to find that truth is in the Bible. So, today I want to look at The Wonders of Eternal Heaven. As we look at this subject, I want us to ask ourselves some questions: Am I bound for heaven when my life on this earth is ended? (1 John 5:13) Do I live in light of my eternal home or am I living for here and now? (Matt. 6:19-21) Let’s ask ourselves these questions as we look at the wonders of heaven. Heaven is a real place, it is not just a state of mind and it is not a higher consciousness. Why is heaven a real place? It is unmistakable. Jesus describes heaven as a real place. In John 14, we only see a glimpse of heaven, but here in Revelation 21 & 22 we see the complete picture of eternal heaven. And the language definitely depicts heaven as a real place. I want you to notice two qualities about this place—the eternal heaven. Eternal heaven is a real place—a new place—a beautiful place. We know that God is everywhere present in respect to His essence. We know that God see all things and knows all things. We cannot escape His presence even now. But in heaven we will have the presence of God in full glory. In fact, we read in verse 23 that God’s glory will illuminate the new heavens and earth. Not one of us here today will see heaven’s glory unless we are believers...unless we come to faith in Jesus Christ. Look at verse 7, “He who overcomes shall inherit all things.” John is talking about the glory of heaven. Who are the overcomers? They are believers. Heaven is only for those who believe in the Lord Jesus Christ. In heaven, we will not just be one of the crowd. Heaven is personal. You shall see Jesus face to face. Are you heaven bound? Do you know for sure (certainty) that when your life on this earth is over that you are going to be with God for eternity? You can. Trust Christ today. Are you living in light of eternal home?